The following tutorial demonstrates how to test the use of an external API using Python mock objects. Integrating with a third-party application is a great way to extend the functionality of your product. However, the added value also comes with obstacles. You do not own the external library, which means that you cannot control the servers that host it, the code that comprises its logic, or the data that gets transferred between it and your app. On top of those issues, users are constantly manipulating the data through their interactions with the library. If you want to enhance the utility of your application with a third-party API, then you need to be confident that the two systems will play nice. You need to test that the two applications interface in predictable ways, and you need your tests to execute in a controlled environment. Free Bonus: Click here to download a copy of the "REST in a Nutshell" Guide with a hands-on introduction to REST API principles and examples. At first glance, it might seem like you do not have any control over a third-party application. Many of them do not offer testing servers. You cannot test live data, and even if you could, the tests would return unreliable results as the data was updated through use. Also, you never want your automated tests to connect to an external server. An error on their side could bring a halt to your development if releasing your code depends on whether your tests pass. Luckily, there is a way to test the implementation of a third-party API in a controlled environment without needing to actually connect to an outside data source. The solution is to fake the functionality of the external code using something known as mocks. A mock is a fake object that you construct to look and act like real data. You swap it with the actual object and trick the system into thinking that the mock is the real deal. Using a mock reminds me of a classic movie trope where the hero grabs a henchman, puts on his uniform, and steps into a line of marching enemies. Nobody notices the impostor and everybody keeps moving—business as usual. Third-party authentication, such as OAuth, is a good candidate for mocking within your application. OAuth requires your application to communicate with an external server, it involves real user data, and your application relies on its success in order to gain access to its APIs. Mocking authentication allows you to test your system as an authorized user without having to go through the actual process of exchanging credentials. In this case you do not want to test whether your system successfully authenticates a user; you want to test how your application’s functions behave after you have been authenticated. NOTE: This tutorial uses Python v3.5.1. The mock library is used for testing Python code by replacing parts of your system with mock objects. NOTE: The mock library is part of unittest if you are using Python 3.3 or greater. If you are using an older version, please install the backport mock library. The nose library extends the built-in Python unittest module to make testing easier. You can use unittest or other third-party libraries such as pytest to achieve the same results, but I prefer nose‘s assertion methods. The requests library greatly simplifies HTTP calls in Python. For this tutorial, you will be communicating with a fake online API that was built for testing - JSON Placeholder. Before you write any tests, you need to know what to expect from the API. This call should return a JSON-serialized list of todo items. Pay attention to the structure of the todo data in the response. You should see a list of objects with the keys userId, id, title, and completed. You are now prepared to make your second assumption–you know what to expect the data to look like. The API endpoint is alive and functioning. You proved that by calling it from the command line. Now, write a nose test so that you can confirm the life of the server in the future. Keep it simple. You should only be concerned with whether the server returns an OK response. # Send a request to the API server and store the response. # Confirm that the request-response cycle completed successfully. Chances are good that you will call an external API many times throughout your application. Also, those API calls will likely involve more logic than simply making an HTTP request, such as data processing, error handling, and filtering. You should pull the code out of your test and refactor it into a service function that encapsulates all of that expected logic. Rewrite your test to reference the service function and to test the new logic. # Call the service, which will send a request to the server. # If the request is sent successfully, then I expect a response to be returned. The first test that you wrote expected a response to be returned with an OK status. You refactored your programming logic into a service function that returns the response itself when the request to the server is successful. A None value is returned if the request fails. The test now includes an assertion to confirm that the function does not return None. Notice how I instructed you to create a constants.py file and then I populated it with a BASE_URL. The service function extends the BASE_URL to create the TODOS_URL, and since all of the API endpoints use the same base, you can continue to create new ones without having to rewrite that bit of code. Putting the BASE_URL in a separate file allows you to edit it in one place, which will come in handy if multiple modules reference that code. Run the test and watch it pass. The code is working as expected. You know this because you have a passing test. Unfortunately, you have a problem–your service function is still accessing the external server directly. When you call get_todos(), your code is making a request to the API endpoint and returning a result that depends on that server being live. Here, I will demonstrate how to detach your programming logic from the actual external library by swapping the real request with a fake one that returns the same data. # Configure the mock to return a response with an OK status code. Notice that I did not change the service function at all. The only part of the code that I edited was the test itself. First, I imported the patch() function from the mock library. Next, I modified the test function with the patch() function as a decorator, passing in a reference to project.services.requests.get. In the function itself, I passed in a parameter mock_get, and then in the body of the test function, I added a line to set mock_get.return_value.ok = True. Great. So what actually happens now when the test is run? Before I dive into that, you need to understand something about the way the requests library works. When you call the requests.get() function, it makes an HTTP request behind the scenes and then returns an HTTP response in the form of a Response object. The get() function itself communicates with the external server, which is why you need to target it. Remember the image of the hero swapping places with the enemy while wearing his uniform? You need to dress the mock to look and act like the requests.get() function. When the test function is run, it finds the module where the requests library is declared, project.services, and it replaces the targeted function, requests.get(), with a mock. The test also tells the mock to behave the way the service function expects it to act. If you look at get_todos(), you see that the success of the function depends on if response.ok: returning True. That is what the line mock_get.return_value.ok = True is doing. When the ok property is called on the mock, it will return True just like the actual object. The get_todos() function will return the response, which is the mock, and the test will pass because the mock is not None. Run the test to see it pass. Using a decorator is just one of several ways to patch a function with a mock. In the next example, I explicitly patch a function within a block of code, using a context manager. The with statement patches a function used by any code in the code block. When the code block ends, the original function is restored. The with statement and the decorator accomplish the same goal: Both methods patch project.services.request.get. Run the tests to see that they still pass. Another way to patch a function is to use a patcher. Here, I identify the source to patch, and then I explicitly start using the mock. The patching does not stop until I explicitly tell the system to stop using the mock. Run the tests again to get the same successful result. Now that you have seen three ways to patch a function with a mock, when should you use each one? The short answer: it is entirely up to you. Each patching method is completely valid. That being said, I have found that specific coding patterns work especially well with the following patching methods. Use a decorator when all of the code in your test function body uses a mock. Use a context manager when some of the code in your test function uses a mock and other code references the actual function. Use a patcher when you need to explicitly start and stop mocking a function across multiple tests (e.g. the setUp() and tearDown() functions in a test class). I use each of these methods in this tutorial, and I will highlight each one as I introduce it for the first time. In the previous examples, you implemented a basic mock and tested a simple assertion–whether the get_todos() function returned None. The get_todos() function calls the external API and receives a response. If the call is successful, the function returns a response object, which contains a JSON-serialized list of todos. If the request fails, get_todos() returns None. In the following example, I demonstrate how to mock the entire functionality of get_todos(). At the beginning of this tutorial, the initial call you made to the server using cURL returned a JSON-serialized list of dictionaries, which represented todo items. This example will show you how to mock that data. Remember how @patch() works: You provide it a path to the function you want to mock. The function is found, patch() creates a Mock object, and the real function is temporarily replaced with the mock. When get_todos() is called by the test, the function uses the mock_get the same way it would use the real get() method. That means that it calls mock_get like a function and expects it to return a response object. In this case, the response object is a requests library Response object, which has several attributes and methods. You faked one of those properties, ok, in a previous example. The Response object also has a json() function which converts its JSON-serialized string content into a Python datatype (e.g. a list or a dict). # a `json()` method that returns a list of todos. # Configure the mock to not return a response with an OK status code. # If the response contains an error, I should get no todos. I mentioned in a previous example that when you ran the get_todos() function that was patched with a mock, the function returned a mock object “response”. You might have noticed a pattern: whenever the return_value is added to a mock, that mock is modified to be run as a function, and by default it returns another mock object. In this example, I made that a little more clear by explicitly declaring the Mock object, mock_get.return_value = Mock(ok=True). The mock_get() mirrors requests.get(), and requests.get() returns a Response whereas mock_get() returns a Mock. The Response object has an ok property, so you added an ok property to the Mock. The Response object also has a json() function, so I added json to the Mock and appended it with a return_value, since it will be called like a function. The json() function returns a list of todo objects. Notice that the test now includes an assertion that checks the value of response.json(). You want to make sure that the get_todos() function returns a list of todos, just like the actual server does. Finally, to round out the testing for get_todos(), I add a test for failure. The examples I have show you have been fairly straightforward, and in the next example, I will add to the complexity. Imagine a scenario where you create a new service function that calls get_todos() and then filters those results to return only the todo items that have been completed. Do you have to mock the requests.get() again? No, in this case you mock the get_todos() function directly! Remember, when you mock a function, you are replacing the actual object with the mock, and you only have to worry about how the service function interacts with that mock. In the case of get_todos(), you know that it takes no parameters and that it returns a response with a json() function that returns a list of todo objects. You do not care what happens under the hood; you just care that the get_todos() mock returns what you expect the real get_todos() function to return. # Configure mock to return a response with a JSON-serialized list of todos. # Call the service, which will get a list of todos filtered on completed. # Confirm that the mock was called. # Confirm that the expected filtered list of todos was returned. # Configure mock to return None. # Call the service, which will return an empty list. # Confirm that an empty list was returned. Notice that now I am patching the test function to find and replace project.services.get_todos with a mock. The mock function should return an object that has a json() function. When called, the json() function should return a list of todo objects. I also add an assertion to confirm that the get_todos() function is actually called. This is useful to establish that when the service function accesses the actual API, the real get_todos() function will execute. Here, I also include a test to verify that if get_todos() returns None, the get_uncompleted_todos() function returns an empty list. Again, I confirm that the get_todos() function is called. Write the tests, run them to see that they fail, and then write the code necessary to make them pass. Moving common test functions to a class allows you to more easily test them together as a group. You can tell nose to target a list of functions, but it is easier to target a single class. Common test functions often require similar steps for creating and destroying data that is used by each test. These steps can be encapsulated in the setup_class() and teardown_class() functions respectively in order to execute code at the appropriate stages. You can create utility functions on the class to reuse logic that is repeated among test functions. Imagine having to call the same data creation logic in each function individually. What a pain! Notice that I use the patcher technique to mock the targeted functions in the test classes. As I mentioned before, this patching method is great for creating a mock that spans over several functions. The code in the teardown_class() method explicitly restores the original code when the tests finish. Run the tests. Everything should pass because you did not introduce any new logic. You merely moved code around. Throughout this tutorial I have been demonstrating how to mock data returned by a third-party API. That mock data is based on an assumption that the real data uses the same data contract as what you are faking. Your first step was making a call to the actual API and taking note of the data that was returned. You can be fairly confident that the structure of the data has not changed in the short time that you have been working through these examples, however, you should not be confident that the data will remain unchanged forever. Any good external library is updated regularly. While developers aim to make new code backwards-compatible, eventually there comes a time where code is deprecated. As you can imagine, relying entirely on fake data is dangerous. Since you are testing your code without communicating with the actual server, you can easily become overconfident in the strength of your tests. When the time comes to use your application with real data, everything falls apart. The following strategy should be used to confirm that the data you are expecting from the server matches the data that you are testing. The goal here is to compare the data structure (e.g. the keys in an object) rather than the actual data. Notice how I am using the context manager patching technique. Here, you need to call the real server and you need to mock it separately. # Call the service to hit the actual API. # Call the service to hit the mocked API. # the same data structure. Your tests should pass. Your mocked data structure matches the one from the actual API. Now that you have a test to compare the actual data contracts with the mocked ones, you need to know when to run it. The test that hits the real server should not be automated because a failure does not necessarily mean your code is bad. You might not be able to connect to the real server at the time of your test suite execution for a dozen reasons that are outside of your control. Run this test separately from your automated tests, but also run it fairly frequently. One way to selectively skip tests is to use an environment variable as a toggle. In the example below, all tests run unless the SKIP_REAL environment variable is set to True. When the SKIP_REAL variable is toggled on, any test with the @skipIf(SKIP_REAL) decorator will be skipped. Run the tests and pay attention to the output. One test was ignored and the console displays the message, “Skipping tests that hit the real API server.” Excellent! test_todos.test_integration_contract ... SKIP: Skipping tests that hit the real API server. At this point, you have seen how to test the integration of your app with a third-party API using mocks. Now that you know how to approach the problem, you can continue practicing by writing service functions that for the other API endpoints in JSON Placeholder (e.g. posts, comments, users). 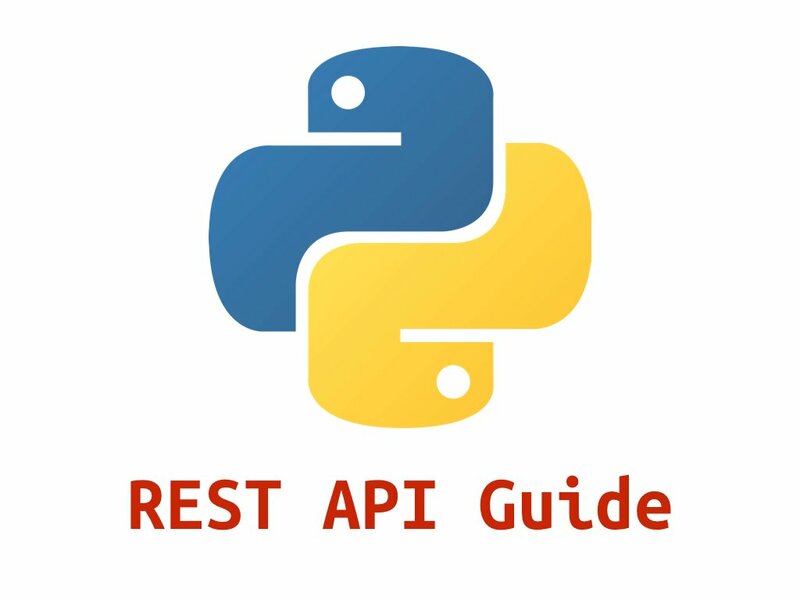 Free Bonus: Click here to download a copy of the "REST API Examples" Guide and get a hands-on introduction to Python + REST API principles with actionable examples. Improve your skills even more by connecting your app to a real external library such as Google, Facebook, or Evernote and see if you can write tests that use mocks. Keep producing clean and reliable code and stay tuned for the next tutorial, which will describe how to take testing to the next level with mock servers!